I have known Luke from England (who has moved to Singapore about 10 years ago) as a Singapore vegetarian blogger who blogs at Hungry Ang Mo. 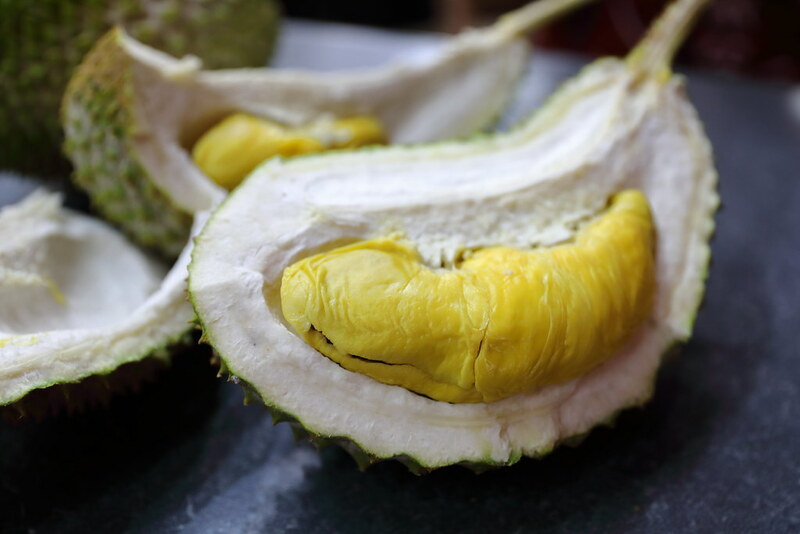 Besides blogging about vegetarian food in Singapore, I also know about his love for durian. 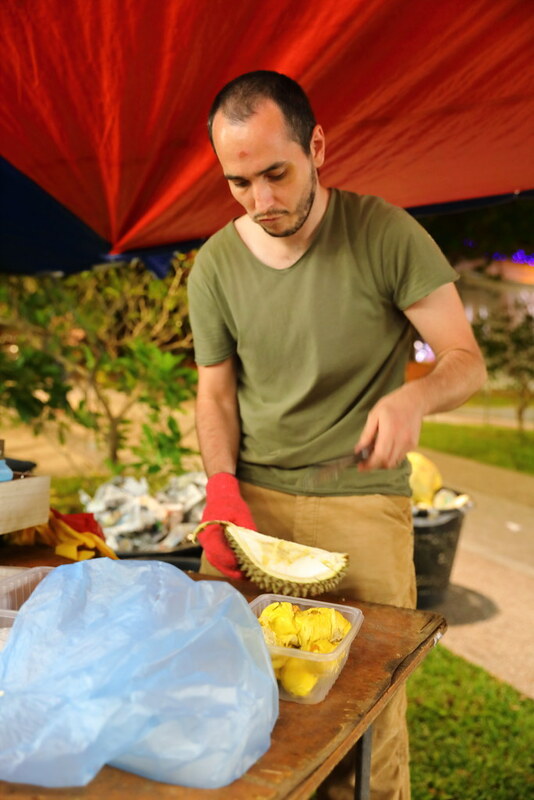 He is so passionate about the king of fruit that he has researched and written extensive about durian on his blog. 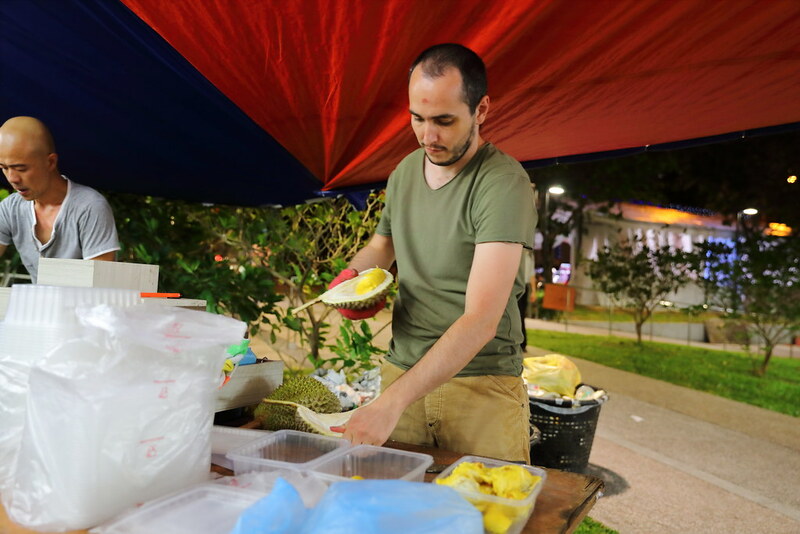 Never in my wildest dream I would expect him to take his love for the fruit further to become a durian seller! 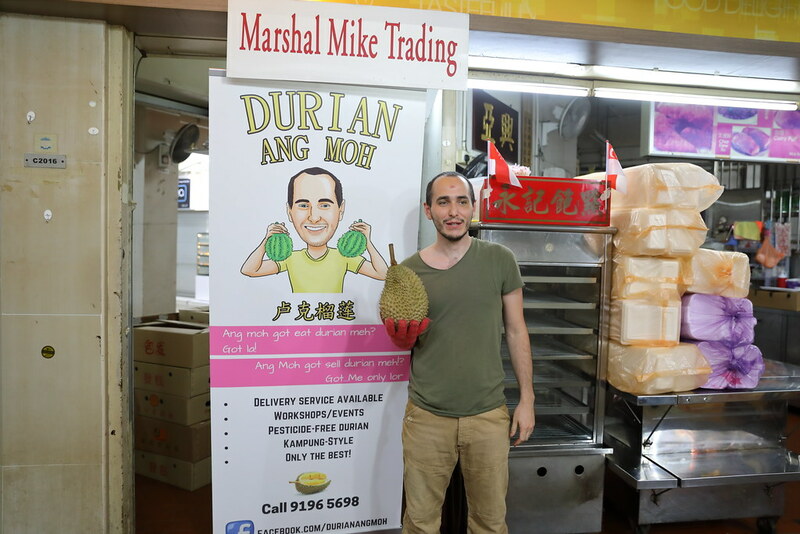 Durian Ang Moh is partnership with Ah Teck the first honest durian seller he got to know. The stall is located at Blk 681 Hougang Ave 4. 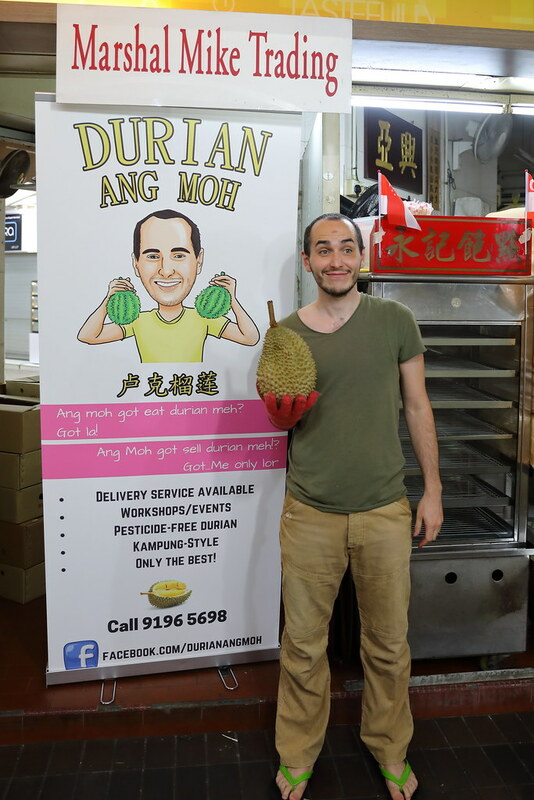 Not only can you buy and eat at the stall, Durian Ang Moh has also introduced delivery service. You can check out their facebook page to know the price daily and order by message them. If you order 3 boxes or more, delivery is free. If not, there is a minimum delivery fee of $15. Payment is by bank transfer. 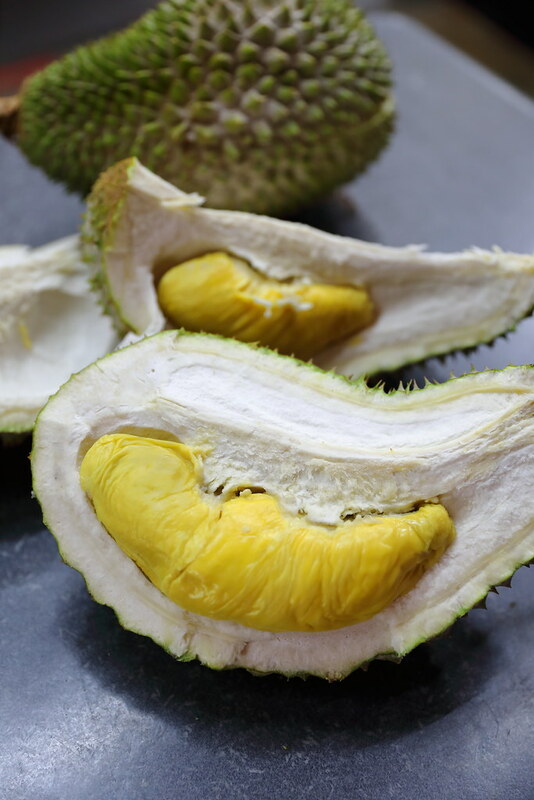 Currently the stall is selling Mao Shan Wang and the more premium "Black Gold" Mao Shan Wang Durian, Durian Ang Moh gets their durians from Malaysia, working with local Malaysians farmers who still farm durians the old-fashioned way. They are honest durian seller focus in bringing quality durians from old trees. Visiting the stall with all those thorny fruit and their yellow flesh screaming at you, flooding your nostrils with the beautiful smell. I just have to put my camera aside and get my hands dirty to indulge in the creamy and bitter sweet flesh. These are indeed good quality durian. good report, thnx, informative, & detailed direction. cheers!